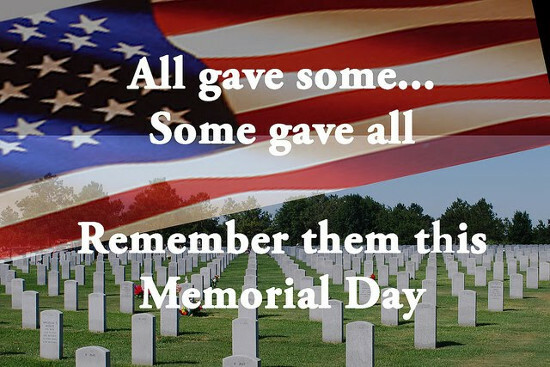 In the United States, where Frequently Interrupted is based, today is Memorial Day, a day set aside to remember those who lost their lives in service to their country. There will be plenty of other activities as well, and I hope that people enjoy them and have some great times with family and friends, but remember what it's all about as well. In memoriam.